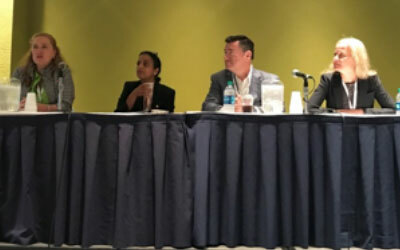 CRISPR Technology: Experts Explore Key Opportunities and Challenges in Catalyst-Moderated Panel – Catalyst Healthcare Consulting, Inc. The conversation was very lively and pointed out many truths that disruptive, quickly evolving technologies encounter with regulators and society as a whole. For any emerging technology that has societal issues such gene editing, thoughtful, well-orchestrated public engagement will be important, FDA’s Nalubola said. 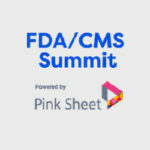 Agencies like FDA tend to reach out to a wide range of stakeholder groups to help drive broader conversations where innovators need to engage. For example, as she pointed out, FDA has co-commissioned several initiatives on gene editing, for example the National Academies report issued in February 2017, and the agency has several established forums for holding conversations with European regulators, e.g., ICH and the International Pharmaceutical Regulators Forum (IPRF). This points to one of the themes of the discussion — how companies and FDA can best work together to facilitate development of CRISPR-based therapies. The agency is available for sponsors to come in and talk with them early on about the indications being pursued, trial designs and other issues, as Nalubola noted. 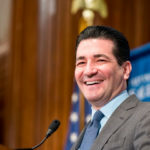 In addition, FDA is maintaining a science-based regulatory policy, and has a well-established program and policies in place to evaluate gene therapy products, including those involving gene editing, she said. 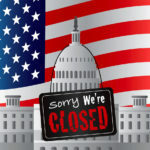 However, with an emerging technology such as CRISPR, having “early platform meetings” with companies that would allow for a broader discussion of the technology in general would also be helpful, Intellia’s Essig said, and she noted that some companies are working with the relevant associations. As Essig noted, what makes CRISPR different is both the precision of the technology and its the simplicity, as compared with gene therapy, for example; this is what is accelerating development in the space. One of the main hurdles to initiating clinical trials now is the need to have confidence in avoiding off-target effects; “there is a lot of work going on right now to do that,” she noted. 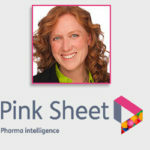 Kurt von Emster echoed her comments, noting the risk of off-target effects was one of the main issues that played into his company’s investment decisions around CRISPR. As part of their overall strategies, the three main CRISPR companies – Intellia, CRISPR Therapeutics and Editas – have all entered into partnerships of various kinds with biopharma companies. Our discussion focused on somatic cell CRISPR gene editing (rather than germline approaches). Nonetheless, there is risk when making “permanent changes to the genome,” as Intellia’s Essig said. But the potential for curing diseases for which there are no current treatment options makes this an area of great promise, she noted. Indeed, despite the challenges inherent in the technology, some companies are moving closer to the clinic. For example, CRISPR Therapeutics has announced it expects be in the clinic with a program for beta thalassemia by end of this year; the company has spent about $80 million total in their preclinical programs, von Emster noted. “So it’s not cheap,” even though the CRISPR Cas9 technique is relatively cheap and accessible. The panelists agreed that this is an exciting time for CRISPR technology, and that a lot will happen in the field over the next six months. When I asked them to make some predictions as to what kinds of headlines we may see a year from now, the consensus was that we will likely see a number of headlines on early readouts from initial clinical studies.